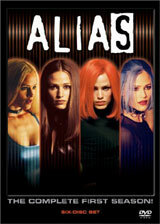 For the last couple of weeks Jon and I have been working our way through the first season of the show Alias, starring Jennifer Garner. I love it. When it debuted a few years ago I wasn't interested. Not only did I already devote my few hours of television to Friends and classic movies, but I couldn't understand the attraction of Garner. Or the contrived plot. Today I am the first to admit that I judged too soon and without enough information. I am enthralled by the storyline(s), the intricacy and the adventure. And Garner is fabulous! She's strong and independent, athletic, driven and gorgeous. Nothing is as it seems for her double-agent character. One of the reasons that this blog entry is so short is simply that I am in the midst of an episode. Between the exciting destinations and dangerous top secret missions, her very cool disguises and ability to speak fifty different languages... I have a new favorite TV character. But I can't get too happy about this. Between school and work and Jon (not in that order, necessarily) I don't have a lot of time to spend mesmerized by a fictional woman and her riveting lifestyle. 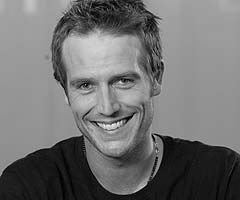 However, tonight I am going to dream of exotic locales, top secret missions, how nice it would be to have dimples and, of course, Michael Vartan (it's okay... he looks like Jon).